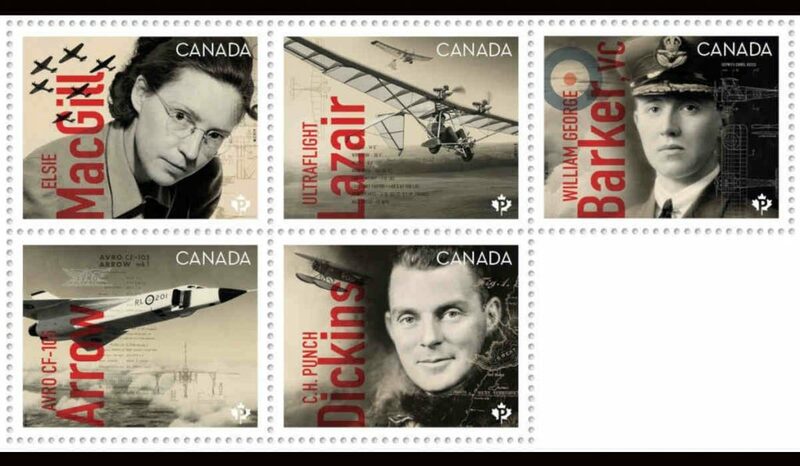 Canada Post today issued five stamps to honour Canadian pilots, designers and aircraft that made civilian and military aviation history. The stamp issue was developed with the support of the Canada Aviation and Space Museum – one of three museums under the Ingenium brand. 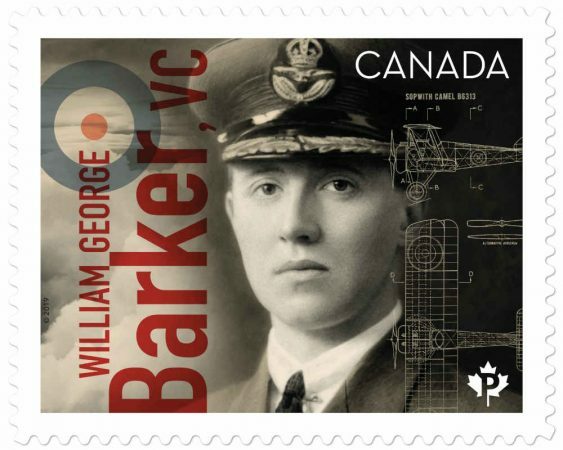 One of the five stamps commemorates First World War pilot William George Barker, VC, who remains the most decorated member of the military in the history of Canada and the British Empire. Barker flew more than 900 combat hours between 1916 and 1918 and is credited with 50 victories over enemy aircraft. 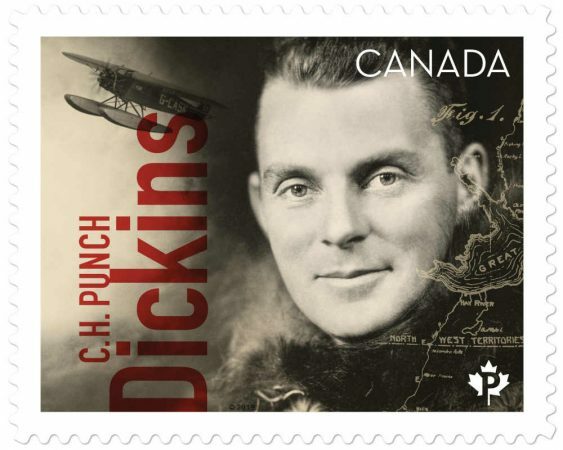 Another stamp celebrates aviation pioneer and bush pilot C.H. “Punch” Dickins, who logged more than 1.6 million kilometres flying over northern Canada. The First World War flying ace and Distinguished Flying Cross recipient made the first reconnaissance flight across the unmapped Barren Lands of the Northwest Territories. 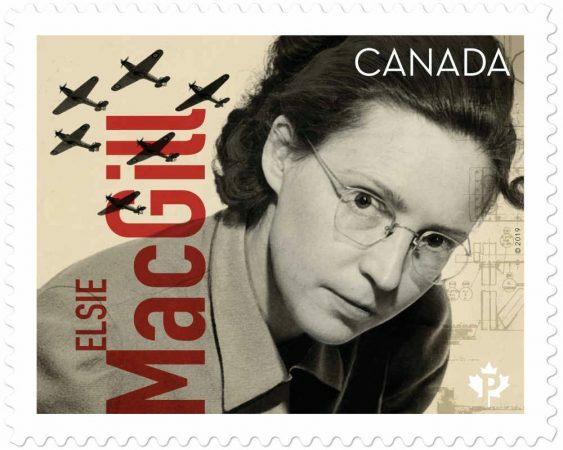 Elizabeth “Elsie” MacGill is also celebrated in the new stamp issue. She was the first woman in Canada to receive a degree in electrical engineering; and first in the world to hold a master’s degree in aeronautical engineering and to work as a professional aircraft designer. Canada Post explains she was dubbed Queen of the Hurricanes in a wartime comic book for her work in overseeing design refinements and production of Hawker Hurricanes. The fighter plane critical in the Second World War, and especially in the Battle of Britain. 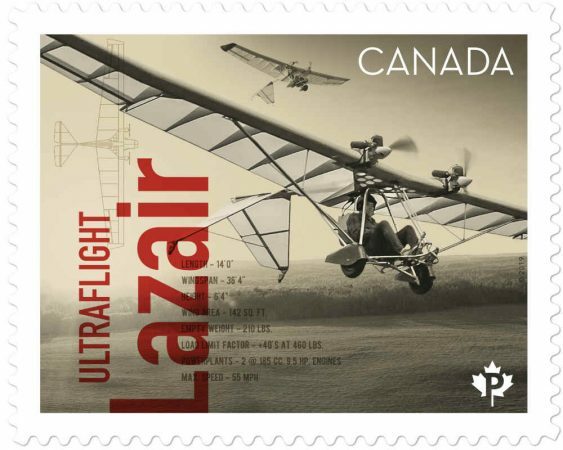 The Lazair, a family of twin-engine, high-wing ultralight monoplanes designed by Dale Kramer of Port Colborne, Ontario, is also featured on one of the five new stamps. Manufactured as kits in Canada between 1979 and 1985, Canada Post explains the Lazair is still considered one of the best light aircraft ever made. Kramer received the Roméo Vachon Award in 1983 for outstanding contribution to the development of aeronautics in Canada. 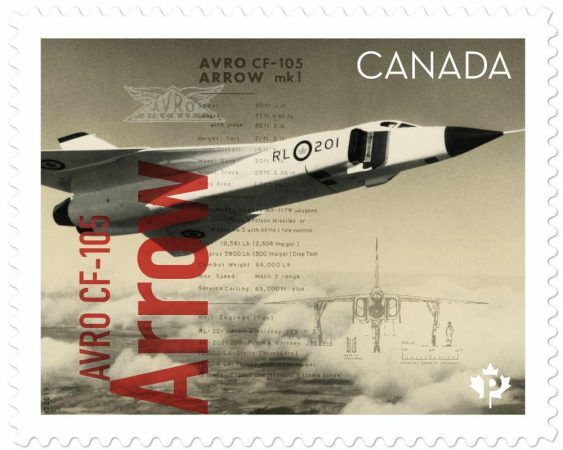 Finally, the twin-engine, supersonic Avro CF-105 Arrow interceptor, which could fly at more than twice the speed of sound is commemorated in the stamp issue. Canada Post explains the CF-105 Arrow is considered one of the greatest technological achievements in Canadian aviation history. Some of its innovative technologies are still in use today.